Unlawful Killing, the 2011 Keith Allen film that the British Crown establishment has suppressed worldwide for more than two years, surfaced and was screened at the Sydney Underground Film Festival on 7-8 September. The British documentary on the death of Diana, Princess of Wales in a car crash in Paris in the summer of 1997, and on the 2007-2008 inquest into it, leaves any viewer with indelible questions about the role of the British Crown: unmistakeably involved in shaping the inquest, what was its role in the killing itself? 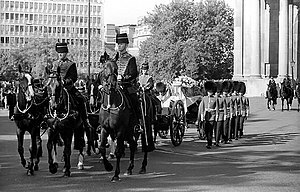 This entry was posted in News Archive and tagged celebrities, Death of Diana Princess of Wales, death of princess diana, Diana, Diana Princess of Wales, Dodi Fayed, entertainment, hollywood, Keith Allen, mohamed al fayed, Paris, princess diana death, Sydney Underground Film Festival, Wales by renaissancelearningfoundation. Bookmark the permalink.